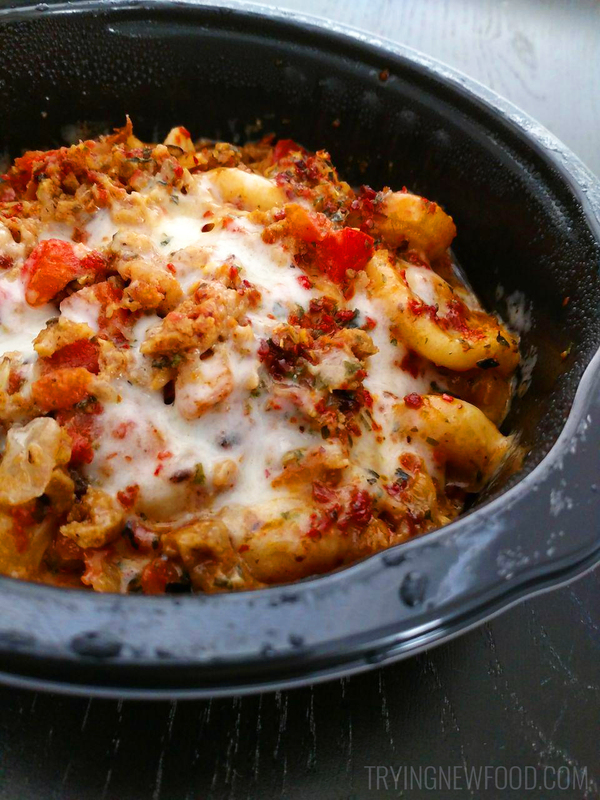 Out of all the different options available at our Target, the Sweet Earth Pizza Mac & Cheese one stood out to us, probably because it looks like comfort food. Those 21 grams of protein stood out to us when choosing this one, although pretty much all of the Sweet Earth foods have a good amount of protein. The side panel shows the five super foods you’ll get in this: red bell peppers, fennel, tomatoes, basil and garlic. They make it really easy to see what you’re getting out of each meal. 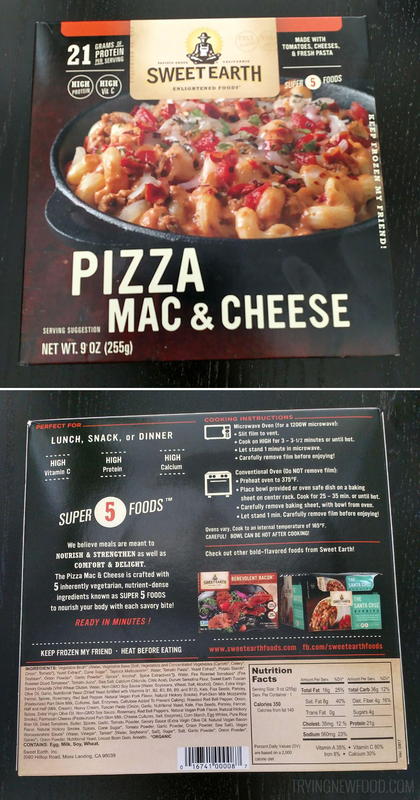 I’m a huge fan of these panels with images of the highlighted ingredients. Speaking of being a huge fan, we love Sweet Earth so much that I wrote them an email about how I appreciated them making healthy foods that taste delicious. In response, they sent a bunch of swag including well made t-shirts and a magnet that’s now on our fridge. Back to the pizza mac & cheese. It’s easy to prepare, but we end up heating it up for a little longer since our microwave isn’t the newest and if we only heat for 3-1/2 minutes, the middle is still cold. Once properly heated, the cheese is beautifully stringy and the pasta has the right softness. This gets devoured within a few minutes, and I’m always shocked that there’s not meat in it. Have you ever tried a Sweet Earth frozen dinner, or one of their breakfast burritos? What did you think?